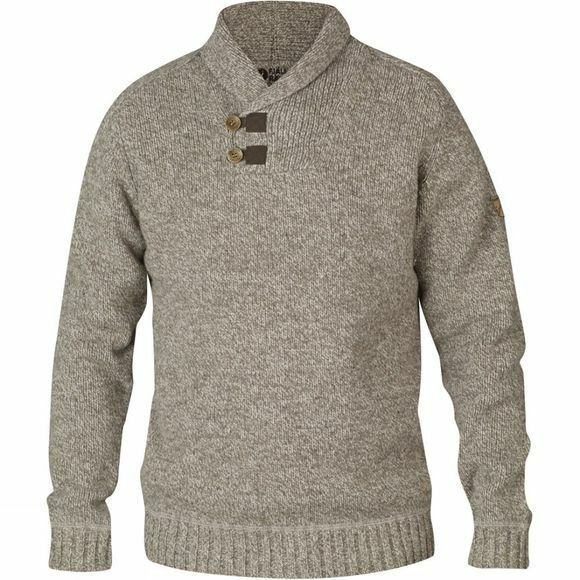 The classic Lada Sweater for men is a luxurious jumper with lambs wool blend and a classic shawl collar to keep you feeling snug and warm whatever the weather. Fjällräven exploit the exceptional warming qualities of fine lambs wool to bring you the best quality garments which work to keep you comfortable throughout the year. Wear this with a t-shirt to ward off the cool summer evenings or layer it up for the harsh cold of winter.